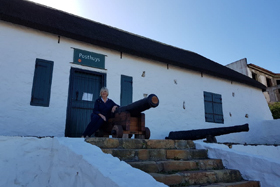 In our last podcast broadcast, “The Life Expectancy of a House”, Dalena chatted about the oldest standing house in South Africa today. Dalena was in fact referring to the “Posthuys” or “De Post Huys”, which still stands in Muizenberg today. The “Posthuys” is the oldest standing house in South Africa. 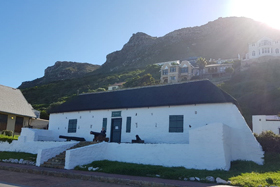 It was built in 1673, serving as an observation post over False Bay, just 1 year before the Castle was completed in Cape Town. 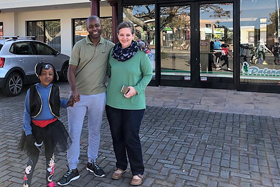 The “Posthuys” is situated on Main Road, Muizenberg, only 50 meters from the Muizenberg Station and Danie and Dalena paid a visit to this long forgotten heritage site. You can read more about “The Posthuys” here. The Gonubie Big Walk is an annual fundraiser event held every year to raise funds for the Gonubie Primary School in East London. Each year the scholars take part in the big walk, together with parents and teachers. Every grade has a different dress theme for the event and on the big day; the streets of Gonubie come alive with children and participants of all ages! 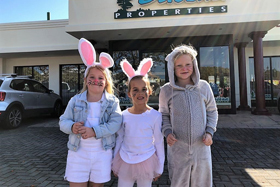 This year saw some very interesting and colorful costumes, where our young learners were either dressed up as pirates, fairies, rabbits or bees. Thanks to the perfect weather, the event saw a gracious turnout on the day and was a big success for the school. Get ready for one of the most anticipated events – The East London Agricultural Show at the East London Showgrounds. We promise entertainment for the whole family, including horse shows and cattle auctions! Come and experience a very unique setting at Cintas’ Tea In The Trees! There is an indoor/outdoor restaurant, a forest theater and a perfect wedding venue, nestled among the tree-top canopies with perfect ocean views!